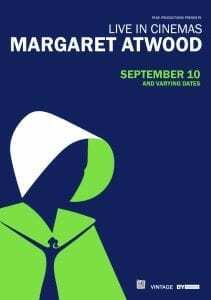 On Tuesday, September 10th, the wait is over….The Testaments, Margaret Atwood’s highly anticipated sequel to The Handmaid’s Tale, is revealed. The momentous literary event will be celebrated with an exclusive live cinema broadcast, as Fane Productions present an evening with the Canadian novelist, poet, literary critic and inventor. The Ocean Film Festival showcases the world’s most amazing ocean films from above and below the water’s surface!